Click Here to come in and discuss your goals! Rob is a native of Harford County and his CrossFit journey began in 2011. After growing up in a military household his family threw down roots. He has been a resident of the Harford County and Baltimore area for the last 20 years. Prior to Signum, Rob spent 13 years working for an investment bank in downtown Baltimore. Emily is from a small town outside of Allentown, PA called Emmaus. She spent 10 years working in fashion and interior design in the concrete jungle of New York City. Life’s journey took her to the Baltimore area. Emily and Rob met at a CrossFit gym in Baltimore in late 2014. Let’s say the two wasted no time. In 2015 they were married. 2016, they welcomed their son Robert William Connors II (Will) into the world. For the encore, their baby girl, Reese Scott Connors was born in 2017. 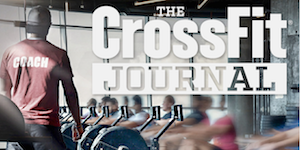 Emily and Rob hope to have add another major undertaking in 2018. and that is the opening of Signum CrossFit. Health, fitness and particularly CrossFit have given them the most important things in their lives. As a result hey want to be able to give back to others. They strive to run Signum CrossFit according to four core values of Client Service, Integrity, Hard Work and Excellence. We pride ourselves on client services. Therefore we provide 1-on-1 personal training and nutrition coaching to provide lasting results to our clients. Integrity represents the quality of being honest and having strong moral principles. Signum strives to avoid conflicts of interests that would make the clients’ goals secondary. Hard Work is recognizing that there are no shortcuts in life. Therefore, our team at Signum may not be the biggest but we will work hard to help our clients reach their goals. Excellence is the constant journey of finding ways to improve in everything in life. As a result, we look to apply excellence in everything we do when it comes to helping our clients reach their goals!